Are you looking for a sophisticated venue with an old European feel? 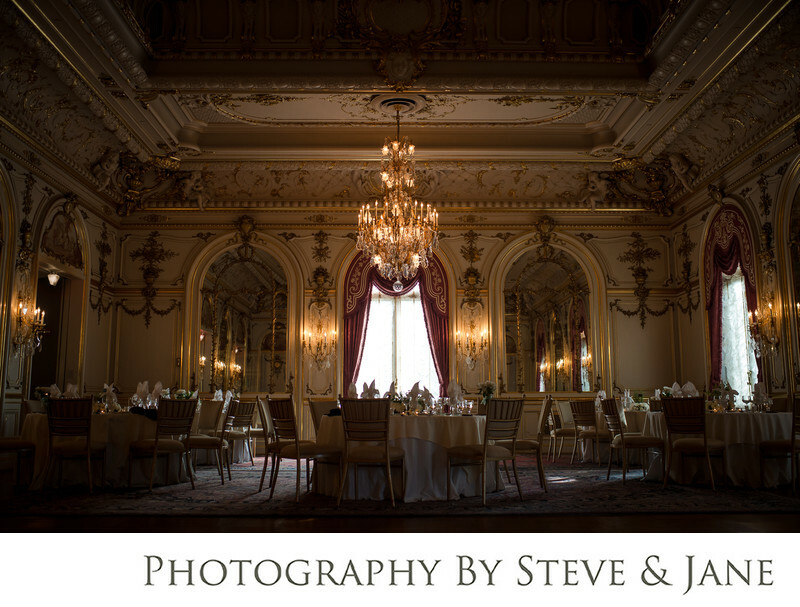 Located on Embassy Row in Washington D.C., the Cosmos Club is an elegant gilded age mansion that is now an exclusive club and wedding venue on Massachusetts Ave in Northwest D.C. two blocks from Dupont Circle. Built around 1900, it was designed for opulent parties and gatherings of Washington's high society. Also known as the Townsend Mansion, after Heiress to the Scott fortune, Mary Scott Townsend. The mansion was purchased by the Cosmos Club in 1950. This afternoon wedding allowed the warm mid atlantic sun to stream through the large windows. The mirrors in the hall are reminiscent of the Palace of Versailles. The wood paneled library offers a quiet respite for some formal photos of the newlyweds if it's too hot or rainy to go out to the lush well manicured gardens. Just one of the many mansions on Embassy Row, not far from Dupont Circle, it's also conveniently located within walking distance of many hotels and restaurants. Hotel Palomar and the Residence Inn are just two blocks away. Pizzeria Paradiso is a good spot to grab a quick bite to eat after dancing the night away at your reception. Urbana is located just off the lobby of the Hotel Palomar and the perfect spot for your wedding afterparty. Location: 2121 Massachusetts Ave NW, Washington, DC 20008.